George Montgomery was born in Brady, Montana on August 29, 1916. He was an American painter, sculptor, furniture craftsman, and stuntman who is best known as an actor in western style film and television. 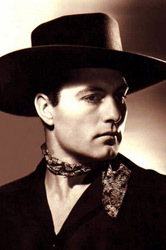 Born George Montgomery Letz to Ukrainian immigrant parents, he was the youngest of fifteen children. He was raised on a large ranch where he learned to ride horses and work cattle. Letz studied at the University of Montana but because he was more interested in a career in film and left after a year to go to Hollywood. 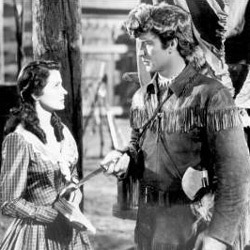 At Republic Pictures, his cowboy skills got him stunt work and a small acting part in a 1935 film, The Singing Vagabond. Some movies George appeared in were Children's Island in 1984 ,"The Odd Couple" (1 episode in 1974), "The Six Million Dollar Man" , The Daredevil, The Leo Chronicles, Strangers at Sunrise, Hostile Guns, Hallucination Generation, Battle of the Bulge, King of the Wild Stallions, Toughest Gun in Tombstone, "General Electric Theater" (2 episodes from 1955-1957), The Lone Gun, Battle of Rogue River, The Texas Rangers, Belle Starr's Daughter, The Girl from Manhattan, Lulu Belle, Three Little Girls in Blue, Star Dust, The Old Barn Dance, The Purple Vigilantes, Springtime in the Rockies and The Singing Vagabond in 1935. He directed and wrote Hell of Borneo in 1966, Guerillas in Pink Lace, Samar, and The Steel Claw in 1961. He directed Ride the Tiger in 1970 and Satan's Harvest. World War II interrupted his film career when he joined the United States Army Air Corps in 1943. 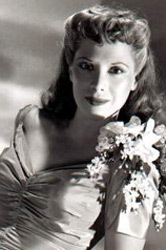 On December 5 of that year he married singer/actress, Dinah Shore. They were married for 20 years, and had 2 children, Melissa and John. George Montgomery had developed excellent craftsmanship with wood and as an adult pastime he began building furniture, first for himself and then for a few friends. His skill was such that his hobby became a full-fledged cabinet-making business. His hobbies of architecture and designing and crafting furniture for Hollywood friends soon expanded. He established a cabinet shop and worked with as many as 20 carpenters and cabinetmakers for nearly 40 years. At the same time he continued to direct and star in at least six films a year. Montgomery oversaw the furniture business for more than forty years and expanded his interest to house design that saw him involved with the building of 11 homes for friends and family. His artistic instincts included learning how to sculpt in bronze. A self-taught artist, he created bronze busts of Clint Eastwood, John Wayne, and Ronald Reagan. Later, he made sculptures of Charles Farrell and ex-wife Dinah Shore, they sit at the Mission Hills Country Club, home of the Dinah Shore Golf Tournament. George passed away on December 12, 2000. After cremation, Montgomery's ashes were divided and interred at near his California home and Great Falls, Montana. George's film career spanned almost six decades. He starred in 87 films and numerous television shows, including the lead role as 'Matt Rockford' in the Cimarron City TV series, which ran in 1958. He received many awards during his lifetime, including the Ralph Morgan Award from the Screen Actor's Guild, the Hollywood Westerner's Hall of Fame, and a Ronald Reagan Award. 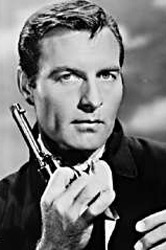 For his contribution to the television industry, George Montgomery has a star on the Hollywood Walk of Fame at 6301 Hollywood Blvd.